A total of 28 PCB congeners were determined using gas chromatography-mass spectrometry (GC–MS) in 46 surface soils collected from the Yellow River Delta Natural Reserve (YRDNR) and its adjacent area, China. The total concentrations of PCBs in the YRDNR ranged from 0.149 to 4.32 ng/g, with a mean concentration of 0.802 ng/g. Light PCB congeners predominated in the present research area, which may be attributed to the atmospheric transportation and were also associated with the recent contamination of unintentionally produced PCBs from industrial processes. 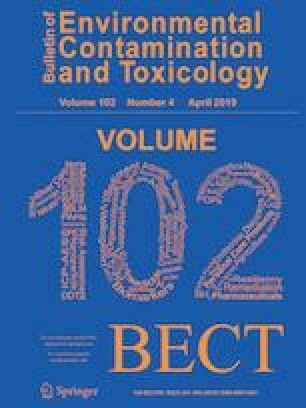 In addition, PCB 126 and PCB 169 were found to be the major toxicity contributors of dioxin-like PCBs in the YRDNR, which should require special focus. This work was supported by the National Natural Science Foundation of China (41373110), the Natural Science Foundation of Anhui Province (1808085QD98), the University Natural Science Research Project of Anhui Province (KJ2018A0317) and the Project funded by China Postdoctoral Science Foundation (2016M600487). Special thanks are given to the editors and reviewers for their useful suggestions and comments.